Lightweight Lithium Ion starter battery, 9,26 lb / 4.2 kg, specially developed for motorsport. Our Super B lithium ion batteries offer phenomenal starting power and massive deep cycle reserve power. They are capable of providing engine cranking pulses in excess of 2250 amps for 5 seconds. Operating temperatures vary from -30 Degrees Centigrade to 60 Degrees Centigrade for all models. This Lightweight Lithium Ion starter battery, 9,26 lb / 4.2 kg, is specially developed for racing cars up to 6 litre using alternator. 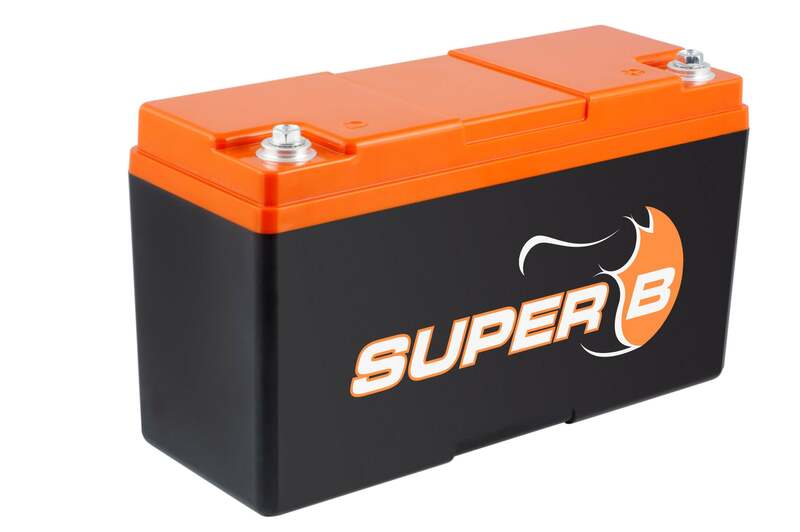 All Super B starter batteries are now certified for MSA competition in 2019. Please take these advices into account while using the battery. damaged. Do not attempt to recharge or use it. use it on road, please consult us. bespoke casing and electronics further increase safety and durability. If you are not sure if this battery is right for your requirements, please contact our friendly sales team and they will be able to help you.